The Chas. 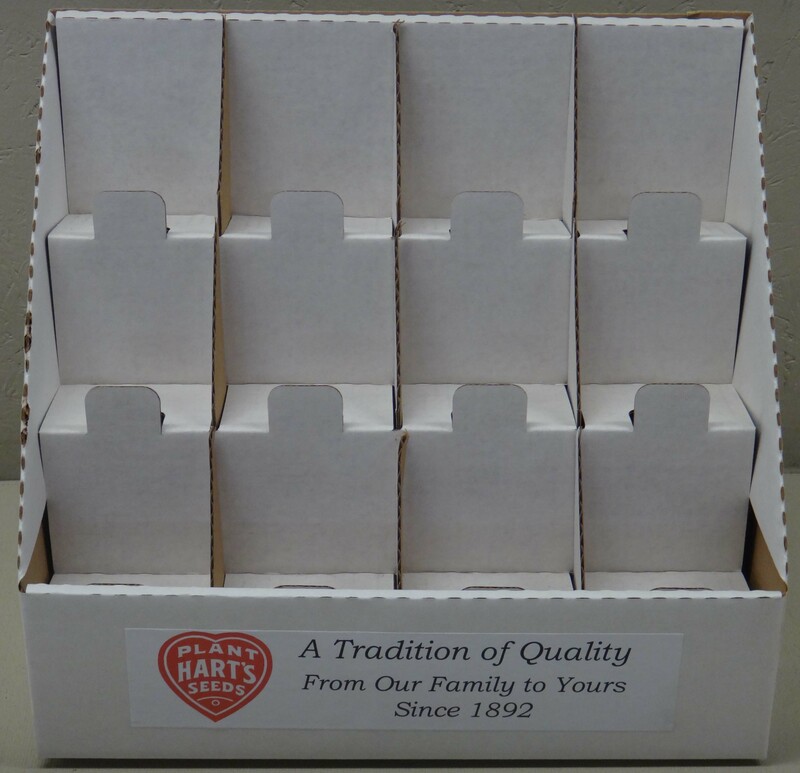 C. Hart Seed Company offers a wide variety of choices for displaying your seed. Here we have listed the two parts to a display. The panels which hold the seed and the frames that hold the panels. If you are in need of assembly instructions for our various displays you can view/download them by clicking on the name of each frame. M Panel: 8 Rows of 6 pockets (think Medium). 48 pockets total. S Panel: 3 Rows of 6 pockets (think Small). 18 pockets total. B Panel: 8 rows of 6 pockets. These panels are thicker than an M Panel, but the same height and all metal. They do not hold the seed well in small quantities. 48 pockets total. C Panel: 7 rows of 6 pockets. 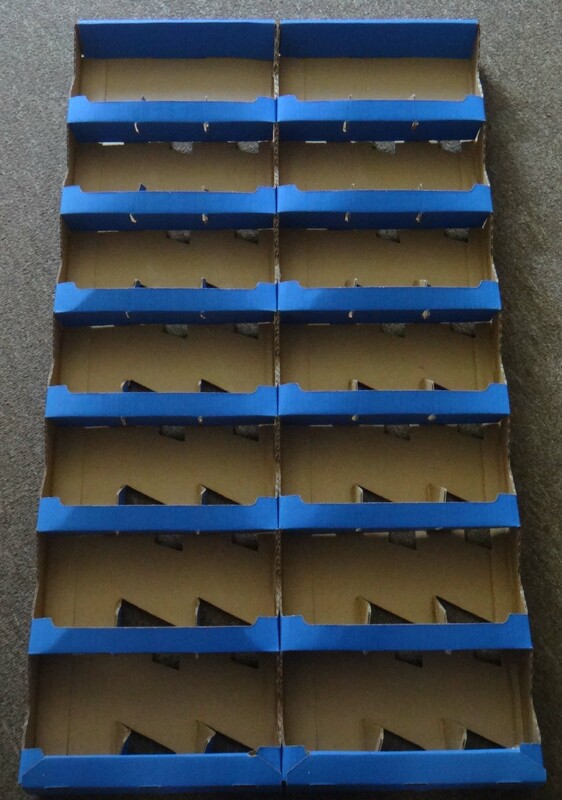 All cardboard and typically used for small orders or heritage displays. 40 pockets total. 1/2 C Panel: 7 rows of 3 pockets. Again, all cardboard. 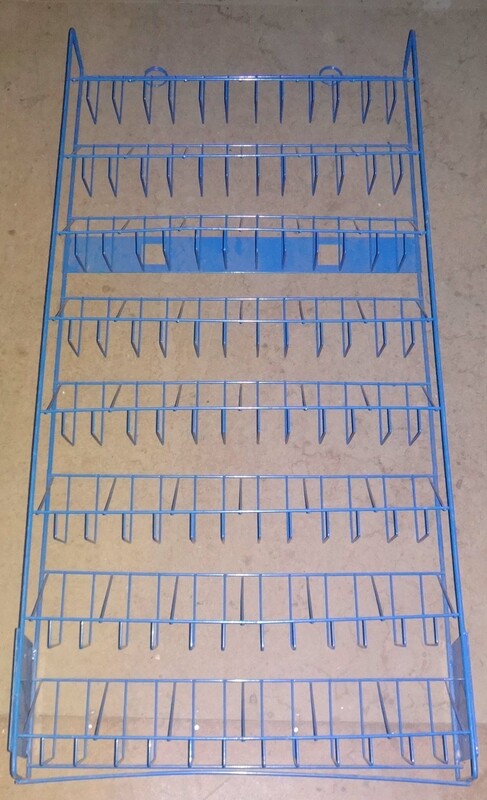 2 of these are stapled together to assemble a C Panel but they can be used on their own. 20 pockets total. 12 Pocket Counter: 3 rows of 4 pockets. 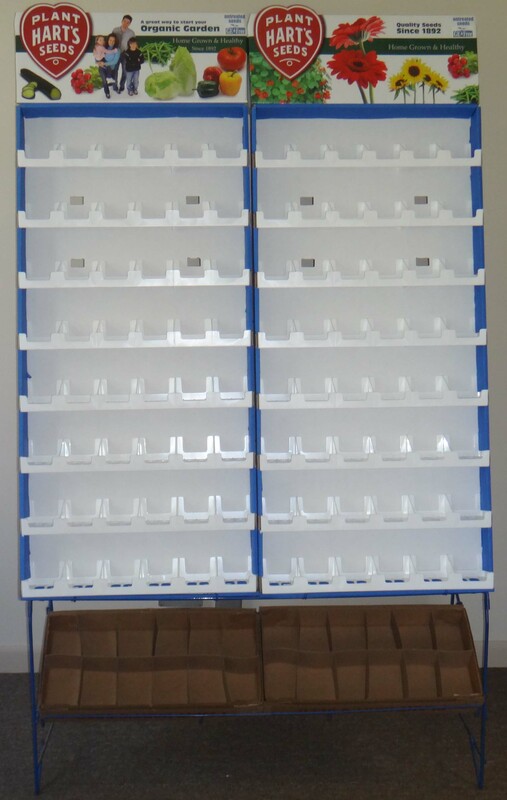 An all- cardboard counter display that is commonly used for small stand-alone assortments of herbs and Italian favorites. Great for those impulse sales right at the register. 4 Pocket Counter: 1 row of 4 pockets. 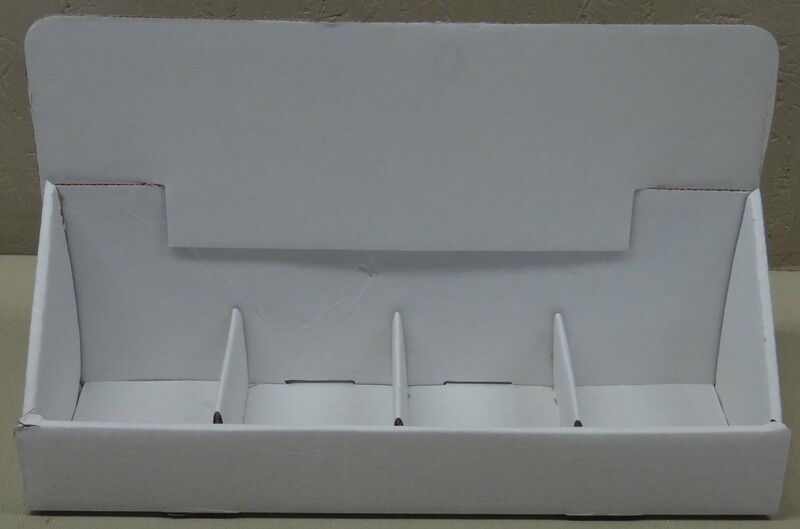 A small, all-cardboard counter display most commonly used for the Catgrass, and 2-Cat assortments. 2R: 2-sided spinner, can hold M or B Panels (not recommended for B Panels) and has casters. 3R: 3-sided spinner, can hold M or B Panels (not recommended for B Panels) and has casters. 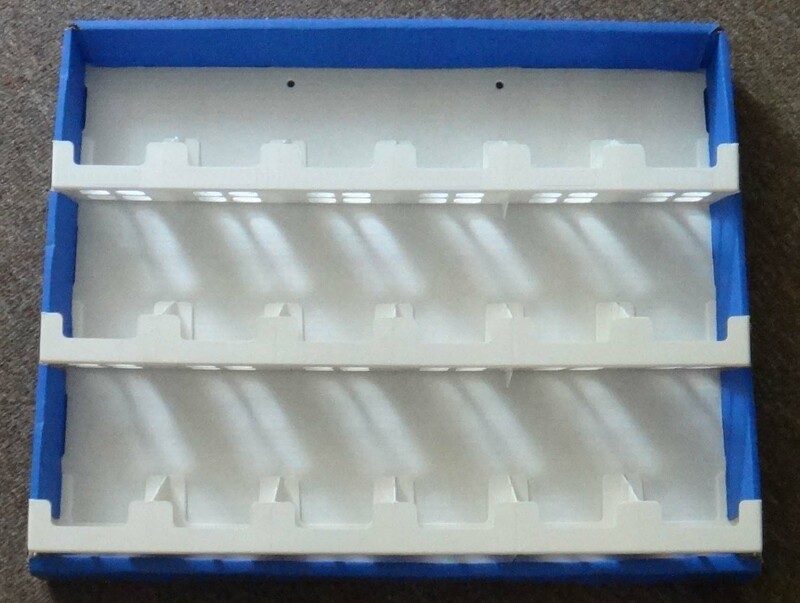 4R: 4-sided spinner, can hold M or B Panels (not recommended for B Panels) and has casters. S type: Holds 1 M or B Panel on top and an S Panel on the bottom and was designed to phase out the 2I frame when used as a pair. Far more sturdy than the 2I, this frame hooks the panels in to prevent them from tipping out. Cardboard Base: Used to hold a single M or C Panel. 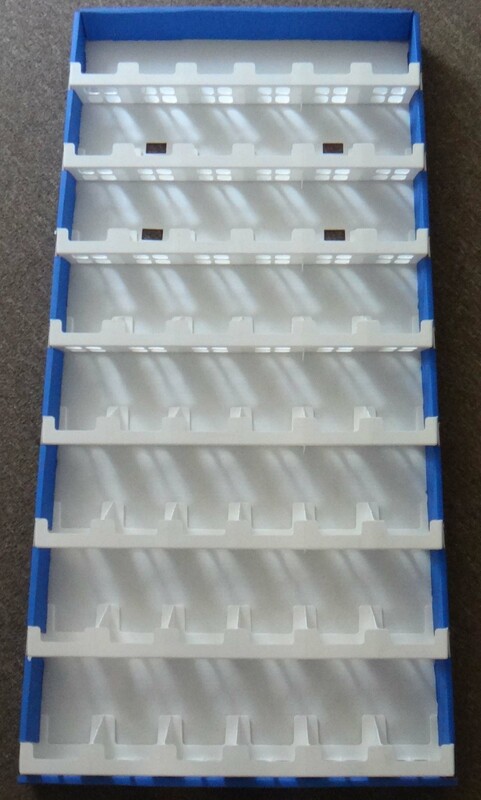 2I: Holds 2 panels side by side on the top and 2 supply boxes on a basket underneath. It was only designed to hold M panels on top but can hold B Panels if (significant) support is given behind the display. 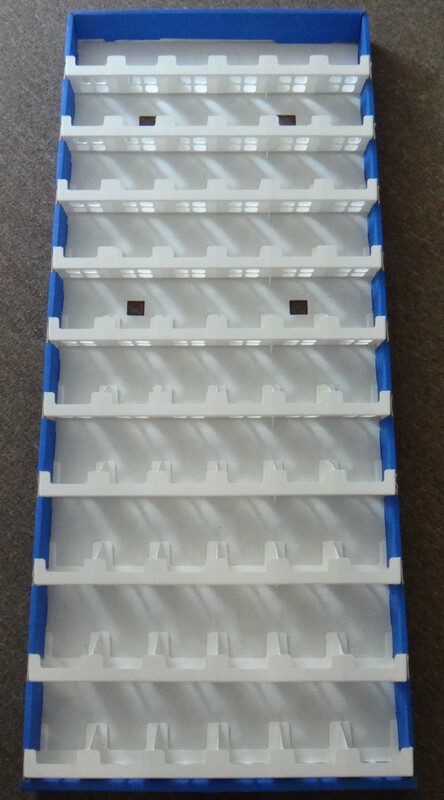 The basket underneath can easily hold 2 S Panels but the top row is difficult to see. This frame does not have casters and is known to have issues with tipping over. B with Legs: Exactly what it sounds like; a B Panel that has metal legs attached. The best way B panels work. In the past Hart Seed has offered other methods to display our seed. While we no longer offer these to customers, you can take a look at them here.